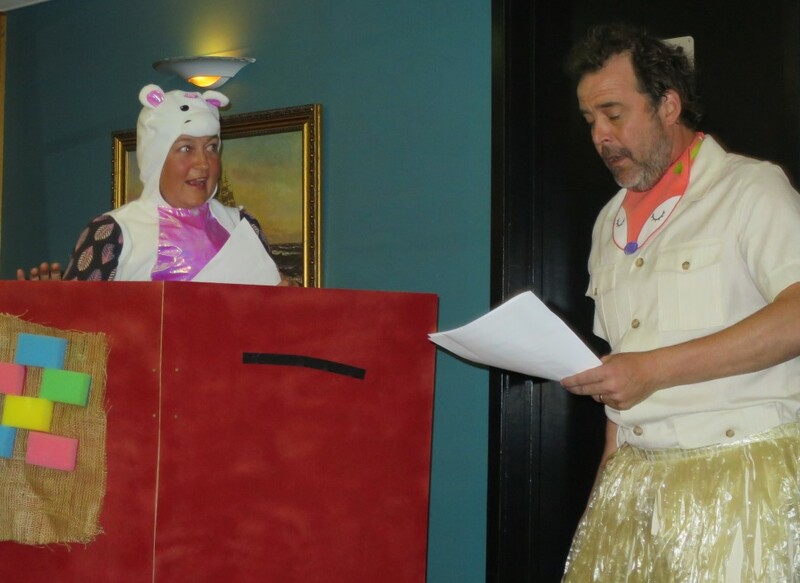 March 2016 – Narooma Rotary Club Inc.
Another successful market …. huge Market, Easter Sunday. Thank you to all who helped make this a possibility. To David and Rachael and Laurelle who organised the gate, to Michael and Frank for marking out and working in the van, John and Sandra, John, Peter, Bob Aston, Frank’s visitor Peter, Lynda and Ashley, Lynn, Merinda, Gordon Bentley from Dubbo, John Rungen, Charmaine, and to those who worked cleaning the van last weekend. Many hands make light work and the wonderful turn out today really eased the load. During last week I attended the funeral for Ron Constable. Ron was not only a long established part of the community but also a fellow Rotarian from our Club. Our thoughts go out to his wife Joan and their children. Last Thursday evening we had no official guest speaker but a wonderful fellowship and a lot of laughs. Frank’s friend Peter also filled in a spot telling us about his walking trips in Australia. Now Easter is almost behind us I look forward to the grass slowing and a chance to catch up with things. The 27/3/2016 Easter markets were a big success. Well done everyone who helped out. 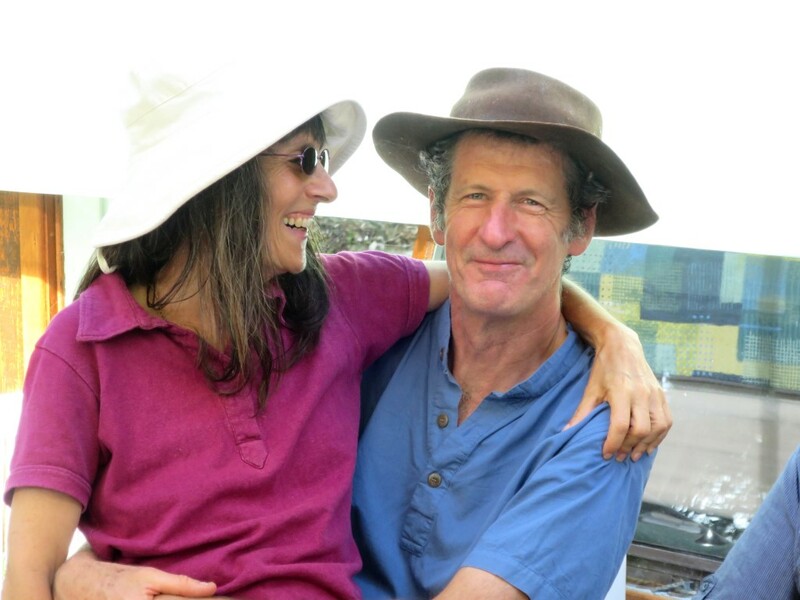 On a previous visit to Australia, Peter did the walk from Orbost to Mallacoota, through the Croajingolong National Park, a very difficult walk of 100km taking 10 days or so. Being out of mobile phone reception, carrying all of your own water and food, and no beer ! – certainly a test of stamina and endurance that changes the way you feel about the word around you. Peter is staying with Frank and Iris at Clark Bay Farm, and has been making himself useful as a “wwoofer”. OK, well we have allowed him to see some touristy stuff as well, here he is pictured below at Potato Point, trying to work out the engineering that went into the building of the wharf – does anyone know how long it is since it last functioned? Surely a good topic for a short talk at a future meeting? John Doyle told us a little about the art of making pens. The stock part can be purchased via the internet. The fun part is making the barrel which can be made of acrylic or wood. This is mounted in a small lathe, and turned down with very sharp chisels. Coating the wood with super glue gives it a hard shiny appearance and preserves it forever. The other end of the pen can be used to swipe on your phone. Note to self – remember to use the correct end of my new pen !!!! The speaker on Thursday is Victoria Callioni who is the President of the Friends of the Eurobodalla Botanic Gardens. 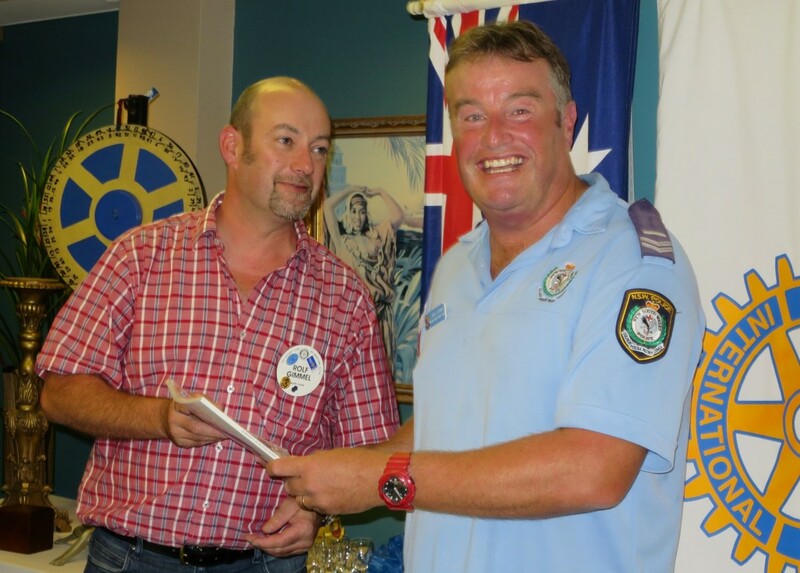 Senior Constable Greg Curry was our guest speaker last week. Greg works for PCYC with youth that need assistance. An inspiring speaker, he emphasised the need for respect, and for understanding. PCYC has many programs for the kids to be involved in, up and down the coast. When the court, or the police refer kids to him, he does his best to give them reasons to leave the house each day and even manages to get long term truants to attend school. It’s people like Greg who work to prevent youth being caught up in a cycle of involvement with the police force, the courts, and ultimately jail. 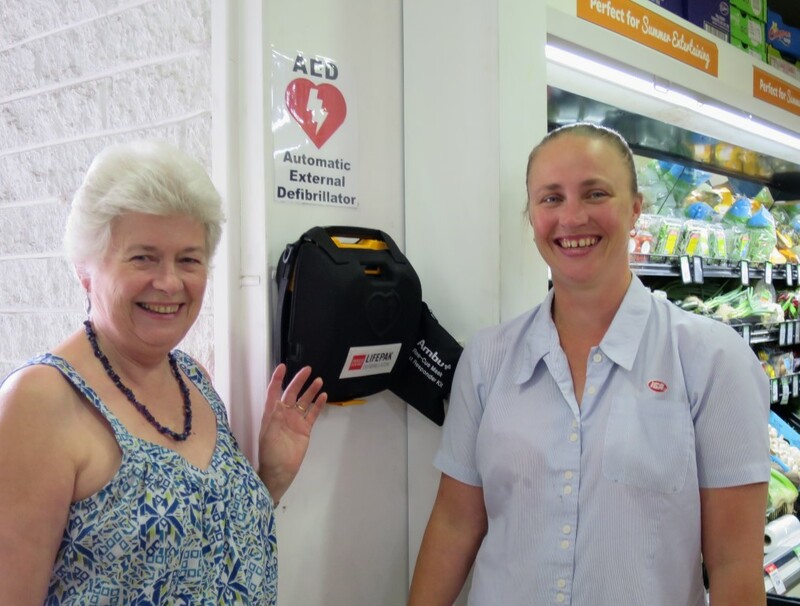 Narooma Rotary Club has purchased a defibrillator, which has been installed in Narooma IGA on The Flat. Project coordinator Chris O’Brien said this was the third defibrillator the club has purchased for the community; the first was installed at Narooma Plaza, just inside Woolworths entrance, the second is at Dalmeny IGA. Local paramedic Mark Jolly said sudden cardiac arrest is the main cause of death in Australia. “The first four minutes are vital, that’s well before an ambulance can respond,” he said. Narooma IGA’s Michelle is delighted with its installation and the added safety it gives the community. Other defibrillators in the Narooma-Dalmeny area are located at Club Narooma, Club Dalmeny and Narooma Golf Club. There was an Oscar-winning performance of the Three Little Pigs last week, all in Pidgin English. 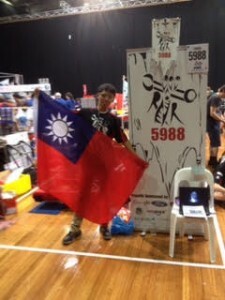 Radar led a team from Narooma High School last week to Sydney to participate in the Australian Robotics Championship held at Olympic Park. 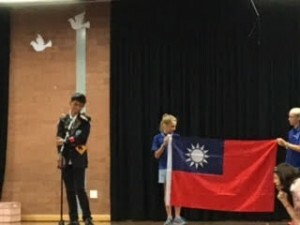 The ultimate winners were a team from Taiwan, but Narooma was mentioned in despatches. 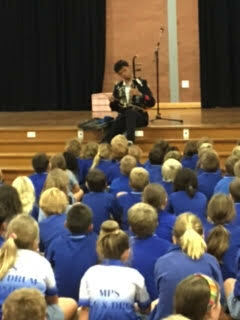 This week Radar was the guest speaker at Moruya Public School’s Harmony Day. He mesmerised the assembly with stories of Taiwan & a recital on his instrument. Next week he heads off on his RYE Safari and won’t be back to Rotary till the end of April. I bought a fanless PC. Now I am suffering from PNPS – Post Noisy PC Syndrome. It is so quiet I have no idea if the machine is turned on or not. But wait, there’s more. Now I hear the monitors. They whine. They buzz. I never could hear them before over the din made by the fans in my old PC. After a talking sheepdog gets all the sheep in the pen, he reports back to the farmer: “All 40 accounted for.” “But I only have 36 sheep,” says the farmer. Last Thursday night we were inspired by Kris McCauley OAM. Thank you to Mike for his researched introduction and Peter for his wonderful words of thanks. The evening was also the first having a main only and I think it was successful !?! Thank you to Michael for bringing chocolates for dessert. I put the suggestion that if we wanted to drop the port we could instead give the job of bringing something to share to a lucky member, chosen the week before. Toss the idea around and get back to me or at the next board meeting. Many people will be away or have guests on Easter Thursday. If we could know numbers that will be available we can plan alternatives. Let Anthony know by Thursday’s meeting for the following. Markets are Easter Sunday and we will be very busy. Need all hands on deck please. John D has the roster on line or let him know if you have a problem using that facility. Our charity, The Rotary Foundation turns 100 this year. Arch Klumph kicked the idea off with a donation of $26.50 (us) to a massive $123 million 2014-15 . CNBC Television in America named Rotary Foundation in “the top 10 charities changing the world in 2015”. We do do good stuff for all and thanks to you and your efforts we continue to lead the way. Focus on Fiji is now firmly on how devastating Winston was. As help is arriving to the remote islands it is obvious that the rebuilding will be a long project. ShelterBox are on the ground and we know this will be appreciated by those who have been displaced. Our coverage in the Narooma News this week was fantastic and we can now move forward with the matching grant and set up another life saving machine. Suggestions? Have a great weekend and see you next Thursday with our guest from PCYC. “Colin is deaf in one ear – he’s never told me which one”. Kris McCauley on how she and her husband were able to run a very successful business in Canberra. At our Thursday night meeting Rotarian Mike Young introduced our guest speaker Kris McCauley OAM who expanded on the challengers of small business and working with your partner to achieve success without killing each other. Kris has been more than a hard working partner in a business, she is wife and mother, a leader in the motor industry body – past President of the MTA in the ACT (and now patron), recognised by government as an advisor, a uni student at 50 and much more. This remarkable woman says it straight. “Governments fantasise that they help contribute to small business”, “got my OAM by being irritating” “getting my masters at 50 changed a lot of people in Canberra”. Kris and her husband Colin developed the habit of calling each other on an extension line at the close of each day to discuss what had been happening and debrief, even though they were sitting a desks near each other. Rotarian Peter Bull thanked Kris on behalf of the club and made a presentation of the book Rotary Humanity in Motion. 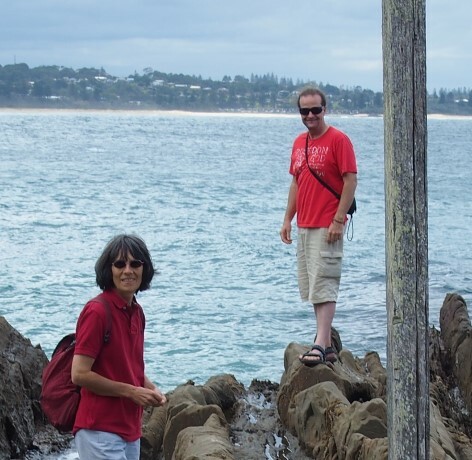 Narooma is certainly a winner with Kris and Colin retiring to our beautiful part of the coast. Some 120,000 people are estimated to need urgent humanitarian shelter assistance following Cyclone Winston, the strongest cyclone ever to make landfall on Fiji. As a result of strong winds and multiple tsunami-like storm surges, which hit Fiji on February 20th 2016, up to 90% of structures have been destroyed in the hardest hit areas and shelter is an immediate priority. ShelterBox has been working with Sea Mercy to deliver aid to affected islands. ShelterBox response teams are currently distributing 100 tents and 82 ShelterBoxes in the most hard-hit villages, and 208 more ShelterBoxes and 2000 solar lights are en route for Fiji. However, this number is only scratching the surface, and the operations team has identified a large number of additional households who are in desperate need of shelter. The team plans to send 2000 ShelterBoxes to meet this shelter challenge. Why are ShelterBoxes the best solution for families displaced by Cyclone Winston? At present, there is a lack of ready-to-use lumber and shelter building material on the islands. This means that the distribution of shelter kits would encourage unsustainable cutting of timber that would result in environmental degradation and lead to decreased disaster risk resilience. ShelterBoxes are therefore the best current solution to support families displaced by Cyclone Winston as they enable rapid distribution and are not dependent on the provision of further materials. The tents will ensure that families have access to safe and secure shelter as quickly as possible and will help them to resume livelihood activities. We need to raise $2 million to provide shelter for 2000 households in Fiji. In order to support the 2000 households who have lost their homes, ShelterBox needs to raise an additional $2 million. ShelterBox’s support will enable families whose homes were destroyed in the cyclone to move into secure, dry shelter and return them their dignity. The 2000 solar lamps will provide light, protect vulnerable families from threat and enable them to resume livelihood activities. Are you able to help meet this need? Does this disaster resonate in your club? Do you have donors who’d be interested in supporting this response? The closer we can get to $2 million, the more shelter we are able to provide to families who lost their homes in the cyclone. We really appreciate everything that you do and want to thank you in advance for making an extra push for families displaced by Cyclone Winston. Together we can give safe shelter to 2000 homeless families. 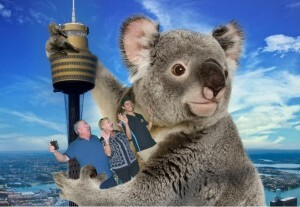 Leaving behind him a trail of death and destruction, a giant Killer Koala attacked the city of Sydney last week. The damage bill has been estimated as “in the millions”. By chance, Rotarian Peter Bull, his wife Karen and visiting black belt Tai Chi and Urdu exponent Radar, were in Sydney at the time and engaged with the mad marsupial. They were able to calm down the bad bear and prevent further mayhem. The mayor of Sydney, Clover Moore, praised their actions, “they are heroes”, she said. TWO COURSE MEAL Be entertained by the music of Sarabande. MC for the evening will be local radio presenter Ian Campbell. This is a fundraising event, with all proceeds going to the redevelopment of the Gardens Visitors Centre. If possible, for catering purposes, please reserve your place before 6th May. Last night’s meeting was a chance for members to give feedback anonymously on two issues: Donuts and “The Elephant in the Room!” . 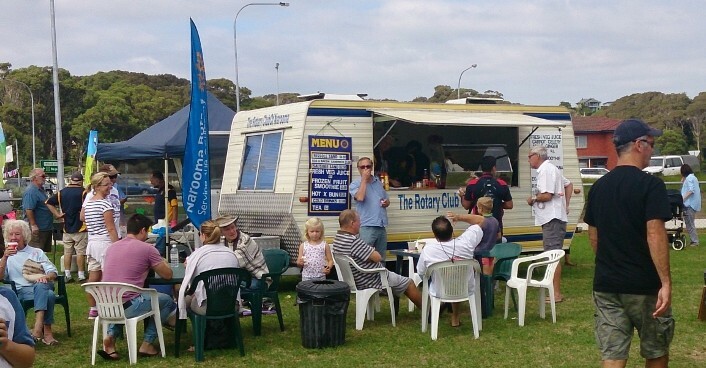 Donuts have been synonymous with Rotary in Narooma (and elsewhere) for many, many years. But now we must look to “manage risk” and minimise the chance of injury. Whilst no one has been seriously injured, the possibility of injury has to be considered and discussed. After investigating to make our current set up safer, no suitable answers have been found. Research is ongoing, but until we can be satisfied that we are managing the risk correctly, we have no choice but to suspend donut-making from this next market. Thank you to all who have participated in this discussion. The second issue is being addressed. I have sent an email to all members. At last night’s Board meeting, we approved Paris Blessington to go to Rotary Adventure in Citizenship. RAIC is an intensive and fun-filled, week-long programme to help prepare young adults for full participation as citizens of Australia. Held in Canberra, it will enable Paris to gain knowledge of how our Federal Government operates. She is a worthy student, who with the help of our Club and Youth Directors, has taken advantage of past opportunities made available and has grown. We look forward to finding out how this week goes on her return. My thanks to Rod, our Secretary, for all his work on the Board meeting minutes, agenda and keeping track on what is transpiring. Thank you to the members of the Board and the Club for input and hard work for not only Rotary Narooma but our whole community. I am very lucky to have such a wonderful group of people. Eddie the Eagle is the latest movie for Polio Plus – unfortunately, we won’t be able to have it for the Premiere, however we will still have it for a special screening on Thursday 5th May. Have a great weekend and I hope you find some magic along the way. A great effort by a small but dedicated group of Rubbish-Removing-Rotarians. No picture of the black snake that gave Fred something to think about ! Fred Fawke was here for a visit at the last meeting and he brought us up to date with the latest news on Shelter Boxes. The new policy is best summarised as “Horses for Courses”. In many cases buildings are partially damaged, and a tarpaulin and some tools to fix it with are all that’s needed. So we now also distribute Shelter Box kits; these are smaller and cheaper and often more suited to the needs of the disaster survivors. Michael Edwards (born 5 December 1963), better known as Eddie “The Eagle” Edwards, is a British skier who in 1988 became the first competitor to represent Great Britain in Olympic ski jumping. At the time, he was the British ski jumping record holder (a record later broken by others), the world number nine in amateur speed skiing, (106.8 mph (171.9 km/h)) and the stunt jumping world record holder (10 cars/6 buses). Finishing last in the 70m and 90m events, he became famous as an example of an underdog or “heroic failure”, and of perseverance and achievement without funding. In 2016, he was portrayed by Taron Egerton in the biographical film Eddie the Eagle, co-starring Hugh Jackman as fictional coach Bronson Peary. 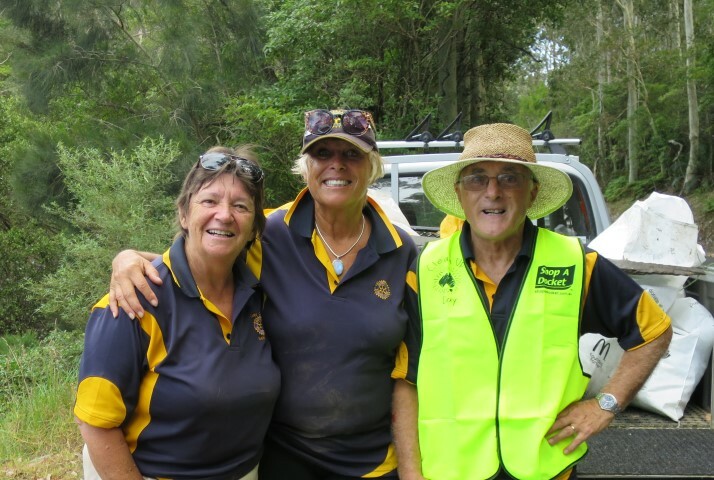 Neil Simpson from Rotary Batemans Bay is organising the Rotary Youth Driver Awareness (RYDA) program this year on behalf of the Rotary Clubs of Batemans Bay, Moruya and Narooma. He has taken over from Derek Anderson (Moruya) who has so capably organised RYDA in recent years (with thanks). This year it is expected that, with the help of Rotary, RYDA will be delivered to 50 000 students from 500 schools in 90 venues across Australia and New Zealand. Our RYDA course will be held on Monday April 4th and Tuesday April 5th 2016 at the Moruya Jockey Club. Year 11 students from St Peters Anglican College, Carroll College and Moruya High School will attend on Monday 4 April with Year 11 students from Batemans Bay and Narooma High Schools attending on Tuesday 5 April. The RYDA program content has now been completely revised and updated and two sessions have been replaced altogether. The program focusses on speeding, distractions and impairments; strategies (having a plan); the role of the passenger; personal reflection on their own risks and behaviours and interactivity (group work and discussion). Student participants now get their own goals, plans and strategies booklet to take home and they use that booklet in every session. RYDA is now more interactive with less facilitator talk and more discussion, making it more engaging for participants. It is intended for those just commencing their learner driving instruction. RYDA a joint project with our three clubs and we are again asking for your support. 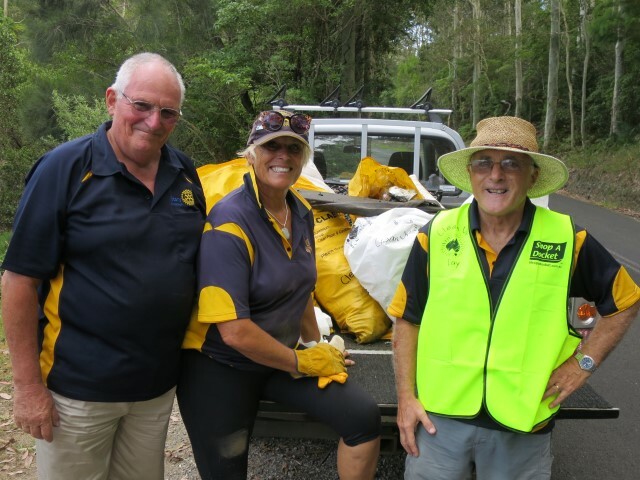 Batemans Bay Rotary is arranging volunteers to set up and pack up, provide morning tea on both days and accompany student participants from St Peters, Carroll and Batemans Bay High on both days. Batemans Bay club held a bare foot bowls afternoon as their contribution towards costs. Moruya Rotary is providing lunch to all participants and presenters on both days of RYDA as their contribution towards costs. Moruya will also be seeking three Rotarians to accompany the student groups from Moruya High School (Monday). Narooma Rotary is providing bus transport for Narooma students as their contribution towards costs and will need three Rotarians to accompany the student groups from Narooma High School (Tuesday). Potentially there are 330 Year 11 students in our Shire who could attend RYDA and we are making every effort to ensure that most attend. We look forward to your support of this life saving program again this year! At the board meeting it was decided that due to the fact that $3 of each meal goes toward paying for the guest speaker’s meal that those who do not choose to participate in the meal, should contribute $3.00 each week to help with these costs. The wheel, happy moments and the $3 are the funds we raise toward administration which covers guest speakers meals and other sundries from time to time. As part of our continued effort in keeping Members informed and up to date with our Charity “The ROTARY FOUNDATION” you are invited to attend an information Seminar on the Foundation. The information available at the Seminar will cover the many programs of the Foundation as well as give an update on Foundation activity in our District and part of the criteria for access to District Grants is for someone from every Club to attend an information session. It will also give you an opportunity to meet the District 9710 Foundation Team for 2016/17. Please pass on this invitation to all interested Rotarians in your Club that may wish to learn a little more about our Foundation. It is anticipated that the Seminar will commence at 10.30 for an 11.00am start, coffee / tea / water and biscuits will be available on arrival. The Rotary Foundation Seminar will be held on Sunday the 20th March 2016 at Raiders Belconnen, Hardwick Crescent HOLT. A light lunch will be provided and we are planning for the seminar to conclude no later than 4.00pm. “Yours Truly” and his extra-ordinary wife ! Funds raised will support Quota’s Hearing and Speech local community projects.